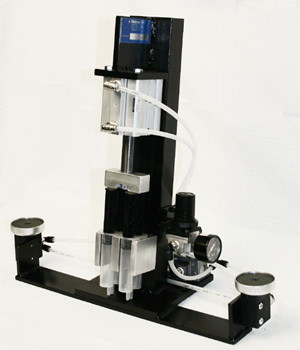 Plunger Inserter | J. Dedoes, Inc.
Dedoes pneumatic plunger inserter for two dual cartridges simultaneously. Plunger depth control is fully adjustable. 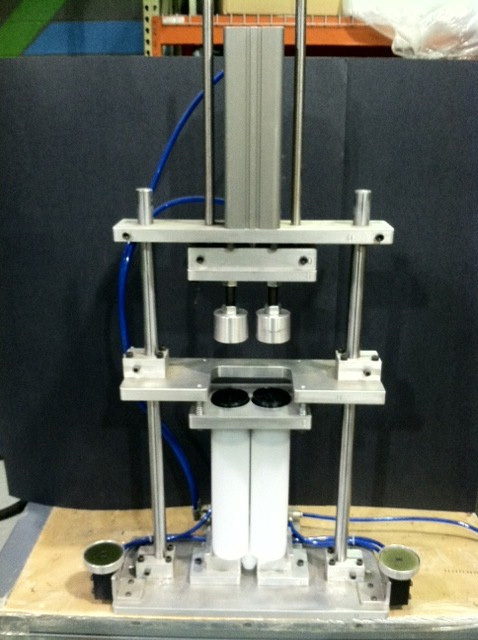 Dedoes plunger inserter can be custom made to fit any single or dual cartridge. Contact our sales department now for a quote!